Locked in a deep economic crisis, Venezuela’s beleaguered government has summoned creditors for crisis talks on Monday as it lurches dangerously close to defaulting on its debt. The country with the world’s largest known oil reserves is on the brink of bankruptcy, and its embattled President Nicolas Maduro is fast running out of options. With his government increasingly under pressure both at home and abroad, Maduro has summoned creditors to a meeting in Caracas on Monday to discuss renegotiating some $60 billion (€51 billion) in foreign debt. All the leading ratings agencies forecast a Venezuelan default as highly probably, differing only on when it might occur. It is easy to see why. The country has to reimburse close to $12 billion (€10 billion) per year between 2018 and 2020, but IMF figures suggest it has a mere $10 billion (€8.6 billion) in hard-currency reserves. Making matters worse, PDVSA, the all-important state oil company, is also broke and already in arrears on its own debt payments. Should it default on its debt, creditors would soon turn on the Venezuelan state seeking redress. In another sign of financial unravelling, the Caracas-based electricity company, Corpoelec, was unable to make a $28 million (€24 million) payment on a $650 million (€557 million) bond last week. Add to that a new batch of economic sanctions and an arms embargo announced by the European Union on Monday, and Maduro’s prospects look increasingly bleak. But when it comes to the technical world of debt trading, things remain unclear. Monday may be a day of reckoning, or judgment may be pushed off again. “Venezuela could announce it will follow Argentina’s example by ceasing all payments, or it could try to wrest concessions from its creditors,” said Paul Mallock, a Venezuela specialist at London Metropolitan University, in an interview with FRANCE 24. The Caracas meeting of foreign bondholders could bring some clarity, though it is not clear who will even take part. One key player, Venezuela’s vice-president Tareck El Aissami, who has been blacklisted by the US over allegations of drug trafficking, threatens to derail the talks altogether. Maduro has asked El Aissami to lead negotiations with the country’s creditors, most of whom are based in North America. But no US national is allowed to engage in talks with him. In a bid to assuage creditors’ concerns, Venezuelan officials have suggested El Aissami might not be physically present at the talks – meaning the issue of debt restructuring could be discussed without the man in charge of overseeing it. 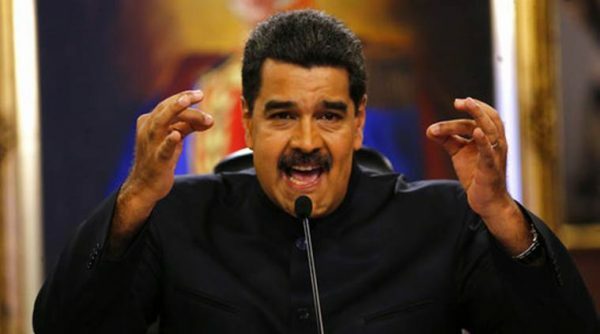 Maduro is also being buffeted by international accusations that he is acting as an autocrat –stomping on democracy by marginalising the opposition, which controls the parliament, and stifling independent media. Those accusations underpin successive rounds of US sanctions on Maduro’s government, including a new batch unveiled last week. Lambasted by the West, Venezuela may yet earn a little respite from its remaining allies, including Russia and China. Last week Moscow agreed to give Caracas more time to repay $3 billion (€2.5 billion) in debt. Beijing has also been generous in the past, though Mallock noted that “both countries are starting to drag their feet when it comes to lending more money”. Other creditors may also be lenient, mindful of Venezuela’s exemplary record on debt repayments. For all its revolutionary banter, the Socialist regime set up by the late Hugo Chavez has always been at pains to meet its deadlines with lenders – even when it meant slashing public spending. Opposition leaders and several economists are pressing the government to freeze debt payments and instead focus on tackling the growing humanitarian crisis in a country that has seen GDP shrink by 30% over the past three years. But as The Economist noted, Venezuela is in a very different position from the one that prompted Argentina to default in 2001. Back then, Argentina had few precious assets abroad that were at threat of seizure. Venezuela, in contrast, has an abundance of them, including US-based refineries, which would surely be seized should it default on its debt. Washington’s crippling sanctions are also likely to act as a disincentive to default, since Caracas would be barred from borrowing much-needed cash from US banks. All of which suggests creditors on Monday may prefer to kick the can down the road – until the next crisis meeting. The Retarded Bus Driver’s(tm) second-in-command is a Baathist. No wonder Venezuela is the shithole that it is.